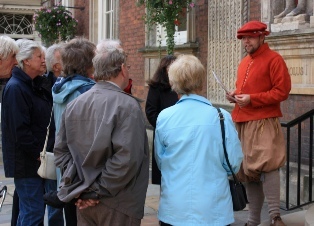 Do you want to find out more about the historic city of Worcester? 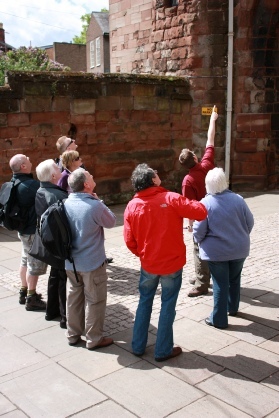 Then come and join Paul or Helen as they walk you through the days of yesteryear, allowing you to relive the Worcester Story and the making of a Cathedral and University City. Hear about the Romans, the devastating Viking raids, Elizabeth I and her visit to the city in 1575 and the bloody battle of Worcester that took place in 1651. Booking Essential: Yes. Please make sure you either telephone , text or email to confirm your place as there are occasions when this tour is fully booked. We take bookings either on the day up to 5pm, or we are happy to book you in months in advance of your visit. Private tours available: All year round, at a time to suit you and subject to guide availability. The Guide can also deliver this tour in costume by request.